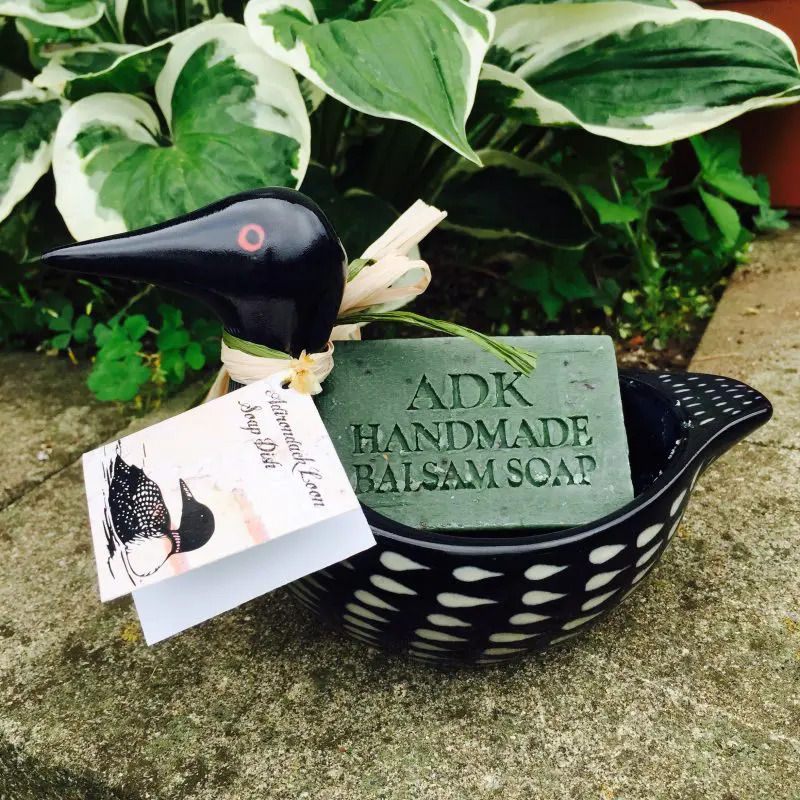 This Adirondack Loon Soap Dish will compliment any bathroom décor. Add a touch of fine Adirondack style to your home. Our exclusive hand painted porcelain loon soap dish will offer many years of enjoyment. Comes with a 4oz. bar of Balsam soap!